As an Australia based web agency (Brisbane), we know web hosting inside-out and are always on the look-out for the best web hosting providers for Australia. 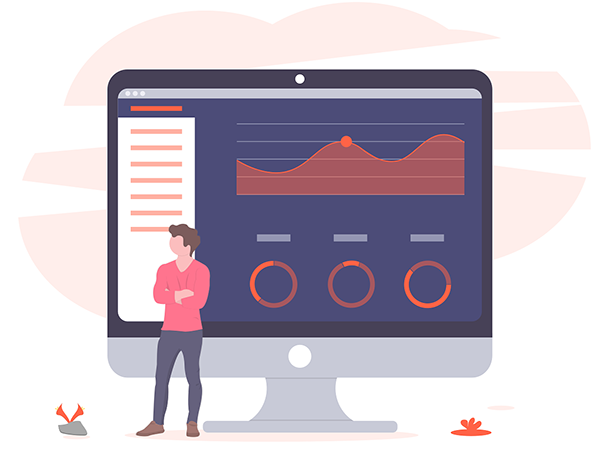 Aside from hosting our clients, we also bulk buy web hosting accounts (lots of side-projects :)), and actively log & analyse their hosting performance. If you just want to see our findings, click here to go straight to our easy comparison table! The quality of your web hosting provider can have a massive impact on the potential success of your website, so choosing a good web host is pretty important! While we use a LOT of factors when writing our hosting reviews (security, support, ease of use, speed, key features, etc), support and speed are the 2 major ones we consider when reviewing a web hosting service. This is why a decent website host is vital! We’ve done the analysis, web hosting reviews & comparisons so you don’t have to, resulting in a list of the best website hosting companies for Australia. The table below gives you a high-level overview of – in our opinion – the top 5 website hosts, sorted by rating, detailing the cost/mo, & if they have servers around the world. We also went a few steps further and reviewed a total of 15 web hosts below the table. US based servers, so definitely slower loading times. SiteGround is the clear winner here, not only are their data centres blazing fast (choose the Singapore centre for Australian sites, it blows the competition out of the water), but they even have their own in-house caching system (SuperCacher) to serve your sites faster than ever before. They’re also an official WordPress recommended host (This is a pretty big deal! They can, of course, tackle any system or CMS you throw at them, AND have their own site builder). We really like their in-house security setup that crawls all their hosted sites, constantly keeping an eye out for potential security issues. They also have a dedicated security team that tracks new vulnerabilities on a daily basis, and then patches those issues to keep everything running smoothly. It’s very impressive! Other additional benefits include free SSL to secure your sites, daily backups for peace of mind, and much more. They have 3 hosting plans for shared hosting, starting at only $4.95/mo (67% off the usual price)! Oh, + they have a 30-day money back guarantee, an absolute no-brainer for anyone that wants a great and affordable web host! SiteGround provides a lot of options for customer service including a Knowledge Base, Tutorials, Live Chat, Phone, and Ticket Support. According to the company, Phone and Live Chat Support will help you get instant replies while Tickets would take 10 minutes on average, which is quite impressive. Customer reviews of their support system are very positive. Most customers stated that support staff was very polite and helpful. Yay for SiteGround! When it comes to speed, SiteGround has plenty to offer. They provide SSDs for faster website loading times compared to traditional drives, as well as extra tweaks and custom setups to opimise speed. As mentioned before, they also have a custom built caching plugin called SuperCacher for even faster loading speeds. Data centers of the company are located in the US, UK, NL, and SG, so their global reach is very good. This one is interesting, while their logo could use a bit of a refresh, their cost to value ratio is outstanding. For only AUD $3.36 you get 100GB of disk space, a free domain name, and very decent support. The only downside here is that they don’t have any servers in or near Australia, meaning that unless you use a CDN like CloudFlare (which is admittedly pretty easy to setup), your loading speeds will suffer a bit. But if you’re looking for decent very cheap hosting, these guys bring the goods! Aside from having a handy website builder, they of course also support all the popular CMSs like WordPress, Joomla and others (400+ apps with 1-click installers). HostPapa offers shared hosting, reseller hosting, VPS hosting and WordPress hosting, as well as web design services, G suite, and Office 365 integration support. All in all, if you’re on a budget, HostPapa gets our stamp of approval, and with our exclusive discount, it’s only AUD $3.36/mo! HostPapa provides 24/7 customer service through phone, live chat, and support tickets. Usually, budget hosts like these lack in support, but HP’s support is surprisingly responsive and helpful in fixing issues. Kudos to HostPapa. As for speed, HostPapa’s data centres, while not in Australia, are very good. They boast 99.9% uptime and it looks like they deliver. As mentioned before though, because they don’t have any servers in or near Australia, loading times will be a bit slower compared to SiteGround. But then again, this can be fixed by enabling CloudFlare, which can serve your site from their own nodes around the world. Setting up CloudFlare isn’t that hard and HP’s support can definitely help you out. Panthur is an experienced & excellent hosting provider that initially started as a non-commercial organisation. They offer super-fast web hosting services and 24/7 customer support (which is also lightning fast). They’re a local web host with servers in Australia, though have none overseas if you want to target other countries. Panthur has 3 main plans that you can additionally customise: Economy, Business and Stealth hosting, each level increasing in server resources as you go up. They also offer domain name registrations and reseller hosting web designers and agencies. They recently got bought by Hostopia and while the switch was a bit rocky, everything looks to be back normal… including their fast support. Panthur provides 24/7 support through phone and support tickets. They’re usually pretty fast at responding, and most issues get resolved quickly. As for speed, while they don’t have a custom caching plugin like SiteGround… as their data centres are located in Australia, and combined with the power of their servers, loading times are very good across the board, just make sure you choose a hosting plan that fits your site (meaning that you probably shouldn’t choose their economy plan to host a massive forum). With 24/7 support, super fast SSD drives, unlimited storage & a Singapore-based data-centre for max speed for Aussie sites… they’re a well-deserved #4 on the list! They have hosting packages for shared hosting, reseller, VPS, and dedicated servers. What sets them apart is their anytime money back guarantee… though we haven’t tested it yet. They offer 24/7/365 customer service through all the usual channels like Chat, Phone, and Support Tickets. Reviews are pretty good and things usually get resolved quite fast. They also offer free site migration to make the transition to their services as smooth as possible. A2 Hosting is very proud of their “Turbo Servers”, which provides 20x speed compared to your average server. They do this through a combination of an enhanced Apache alternative, more resources per user and fewers users per server. They also have custom caching and, of course, use SSD’s. It’s a very good setup. They have 4 data centres around the world for a decent global reach comparable to SiteGround. They started in 2009, are still 100% Australian owned and definitely know the industry quite well. While they’re definitely on the expensive side and their basic plan only includes 1 site and 1 GB of storage, the advantage they have is that they’re also a digital marketing agency, so they can not only help with hosting but also with the site build and marketing itself. A one-stop shop basically. Their services include web design, SEO, PPC, social media marketing, email marketing, etc. We haven’t had to use their customer service, but they offer to help out either over the phone, or through support tickets. Because they’re a smaller hosting company, the support is usually more personal, with people that care about their reputation. Also no complaints about the speed. They’re using well-optimised Australian servers and guarantee a 99% uptime, great for your average business sites or personal blogs. GreenGeeks is going through a massive growth spurt at the moment. The benefit they have is that they’re putting back 300% of the energy they use back onto the grid, very very cool. Their services and support are pretty impressive, but they don’t have any servers near Australia (yet), hopefully, they’ll get that sorted soon. We really like their custom built security tech to keep everything running clean and smooth. While they have a website builder, they also support most major CMS’s out of the box. GreenGeeks offers shared web hosting (great for small businesses and blogs), reseller hosting, dedicated servers, WordPress hosting, and VPS hosting. They also have a 30-day money back guarantee if you’re not happy with their services. They have always been good with support. They offer it 24/7, via the phone, chat, or support tickets. Their support staff are pretty knowledgeable and are well-trained. When it comes to speed, they know how to optimise their servers, and it shows in the speed they offer. They use a combination of fast SSD’s, PowerCacher, and PHP7 to really try and get as much juice out of their servers as possible. Pretty impressive! Netregistry has been around for ages and definitely knows the web hosting industry in Australia, but high hosting costs and an insane $199 for an SSL certificate is a bit crazy (you can get them for free). They also had some bad reviews lately, and quite a few complaints popped up on different fora. Netregistry does offer a lot more than your usual hosts. They also offer web design services, and pretty much everything related to online marketing, including SEO, PPC, and social media marketing. Another example of a one-stop shop. At the moment though, probably stay clear of this one. Netregistry offers phone, email support or live support chat during Australian business hours. As mentioned before, the reviews aren’t that great. Their speed isn’t the best, pretty average. They have data centres in Australia, so we’d expect their loading times to be a bit better, but they’re still acceptable for your average business site. Like Media Fortress and Netregistry, Host Geek offers digital marketing services on top of their hosting services, giving customers the whole package when it comes to their online marketing needs, which is handy if you’re a small business. They are more affordable than most on the list, but their basic plan only comes with 400 MB of disk space, which people will outgrow very quickly. They have a data centre in both Australia and Singapore, which gives them a bit more reach than the competition. As for hosting plans, they have packages for shared hosting, reseller hosting, VPS, dedicated servers, and more specialised hosting plans for WordPress, Joomla, and Magento. The specialised plans are more expensive but optimised for each CMS. They offer customer service through all the usual channels like Phone, Live Chat, and Support Tickets through their client portal. It’s cool that they also do web design and digital marketing, so they can help you out with more than just hosting issues. As for speed, loading times with SSD’s are decent, definitely not bad. It’s handy that they also have servers in Singapore. We do like these guys. If you’re running WordPress and have the budget (and your target market is in Australia as their servers are in Australia), they’ll make sure your site runs silky smooth. That being said, there’s no phone support on their basic plan and I didn’t see any free SSL options either. What they do offer is high-quality hosting for WordPress, including premium features like DDOS protection, daily automated backups, and malware scans to keep everything super secure. They offer support through all the usual channels like Phone, Live Chat, and Support Tickets. As they offer WP hosting, their support staff are experts at WordPress! Their servers are fully optimised for running WordPress, and it shows. The loading times are very impressive, they use SSD’s, PHP7, Gzip, and MariaDB to optimise speed! Since they started in 2003, Crucial has grown quite a lot, known for its simplicity, as for web hosting in Australia, they just have the main plan for shared hosting. Which can be good or bad depending on how you look at it. At $19.90 though, there are far cheaper options available that come with more features. They also offer reseller hosting and VPS hosting (which again comes in 2 flavours). 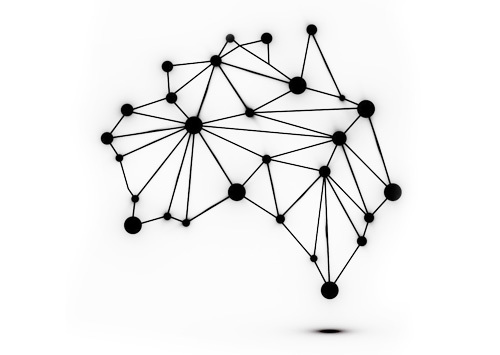 Their servers are in Australia and they offer 24x7x365 Australian Support, which is always handy. Crucial offers 24x7x365 support through phone and support tickets. Reviews are generally positive. The new kids on the block, like brand-spanking new. They’re definitely cheap and offer free SSL, but like most Australian web hosts, are tied to Australia unless you use a CDN (which SiteGround and A2 Hosting for example, offer for free). They look perfect for small businesses wanting to get their feet wet. They have 2 plans, one with 5 GB disk space, and one with 10 GB. Both include cool features like Free cPanel Migrations, 7 Day Backup Retention, and Network DDoS Protection. And all the hosting runs on SSDs max speeds. As they’re a budget host, they only offer support through tickets, though they’re pretty responsive, so generally a thumbs up from us. As for speed, the usual, Australian servers running on SSD’s. Sites run as smooth as expected, pretty good for a budget host imho. Digital Pacific started in 2000, and quickly grew to become one of the more well-known providers for web hosting in Australia. While they have a lot of choices when it comes to hosting options, performance was a bit questionable compared to other hosts, on their shared hosting plans at least. When we tested them, we directly compared them with Panthur (who offer a cheaper plan) and let the servers really crunch a few heavy scripts, we weren’t really impressed. Their support was pretty responsive though (after our tests crashed our site). We also like how eco-friendly they are, and the way they give back to the community by involvement in great projects and other events like Movember. Digital Pacific offers 24/7 support via phone and support tickets through their client portal. They’re usually very responsive and can resolve any issues efficiently. Like most other Australian web hosting providers, Digital Pacific focuses on Australian servers running SSD’s for storage, and it works well for your average personal and business websites. Bluehost is a very old host now, we consider it one of the veterans. Once upon a time, they ruled the kingdom together with HostGator (they were to go-to hosts if you were a small business), now they both got bought by EIG, the massive corporation that’s buying up as many web hosts as it can (like iPage and Fatcow, which are on this list). Bluehost went downhill fast over the last few years, which definitely hurt the company, luckily, lately, they’ve been improving their services and support, to the point where they might start moving up our list again. BlueHost gives you a Knowledge Base, Video Tutorials, Live Chat, Ticket Submission, and Telephone Support. They are available 24/7. Reviews regarding BlueHosts’ customer support service were still mostly negative. <- but again, they’re working on it. Performance (including speed) of their cheapest Shared Hosting plan is undisclosed. It only states that the said plan has “Standard” Performance. According to their support representative, Standard Performance means you are given 25GB of RAM and your website will load within 2-3 seconds. Upon research on their knowledge base, you can have more CPU, memory, and resources for USD 25.99 per month. However, their Pro Package is labeled as “High Performance” wherein it has 80% fewer accounts per server which allow it to use more resources per account. With this package comes increased speed and power due to fewer users. Data centers are located in Utah, USA, meaning that you’ll need a CDN like CloudFlare to get decent loading times in Australia. 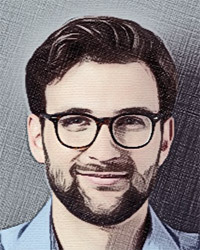 Cloudways is a different beast, they use other companies’ raw servers and allow you to deploy, manage, and monitor high-performance apps and websites on those servers, cutting out the usual web hosting middle-man. If you’re even slightly techie, this can save you a lot of money. They work with massive cloud providers like Digital Ocean, Vultr, Amazon AWS, and more. The real benefit here is the scalability cloud hosting offers. This works great for resource-intensive applications and websites… like huge forums or e-commerce sites. Cloudways gives you various options for support including a Knowledge Base, Ticket Submission, Live Chat, Platform Status Page, and Online Fill-Up Forms. Through the fill-up forms, you can request a call, inquire on sales, and become a partner. Their reviews are superb. Most reviews stated that their customer support system was very quick and prompt. Representatives know what to do to fix both easy and complicated problems. Overall, customers were pleased with their customer support service. With their cheapest plan, 1GB worth of memory (RAM) is provided. Servers are based on solid-state drives for faster loading speeds compared to traditional mechanical drives. Servers are also PHP 7 Ready. PHP 7 is the choice of web developers at present giving superior and faster performance of websites and applications compared to PHP 5.6. CloudwaysCDN also allows for faster website loading speeds across the world as data cached in multiple locations around the world. They have Optimized Stacks with Advanced Cache such as Memcached, Varnish, and Redis for expedited responses. Fast hosting speeds for WordPress and Magento is also available because of its Breeze cache and Full Page cache, respectively. Also, they currently have 60 data centres around the world which you can choose from. InMotion Hosting is another veteran here, but they focus mostly on business hosting and solutions, hence the higher cost. And again, no servers near Australia. The support is pretty good though, as are the rest of their packages… so if you’re targeting the US, definitely one to consider. As for hosting options, InMotion offers shared hosting, reseller hosting, VPS hosting, dedicated servers, and specialised WordPress hosting. They also offer web design services if you can’t find anyone locally (which would be odd as web designers are everywhere these days). In addition to the usual phone support, knowledge base, and support tickets, they also have a Skype account you can contact. Generally, the user reviews are positive, and support is responsive and efficient at fixing issues. With the combo of their business class server configs and PHP7 support, speed and performance is very smooth across the board. They also offer WordPress specialised hosting for even better performance for WP websites. Picking the right web hosting service can really make the difference between a thriving business, or a failing one. For example, if our site goes down for 2 days, that would be a potential loss of around 4 to 8k (on average <- yes, we calculated this). So to actually prevent this from happening to anyone, we’ve clarified some of the hosting terminologies and required specifications below (side-note: Every epic cheap web hosting company in our top 10 supports WordPress and all other major CMS’s, in case you were wondering). So in case you’re going the manual route in researching Australian web hosting providers and want to create your own website hosting reviews, these are the specs to look out for when choosing a host, enjoy! ps: We also just added our personal top 5 of the best web hosting for NZ, best hosting Ireland, best UK web hosting, best Canadian hosting, best web hosting Singapore, best web hosting USA, Hebergement Web en France, webhosting voor Belgie en Nederland, & best web hosting India. How to choose the best web hosting service for Australia? Before we get into the nitty-gritty of how to choose a suitable web hosting service for Australia, let’s answer one of the most common questions we get regarding hosting terminology. What exactly is the difference between domain hosting, web hosting, and domain registration? Let’s start with domain registration. This refers to the buying or registering of a domain name (yourcompany.com.au), which can be done through a registrar. Most Australian web hosts offer this service, meaning you can buy your domain name and host your site with the same provider, which is the ideal situation as support is centralised. Next up, web hosting. This refers to the online space where you host the files that make up your website, it’s why you’re on this page, to find a great web host for your website. Once you have registered your domain name, you then point that name toward your hosting space to make the site show up in browsers. Finally domain hosting. This isn’t actually a thing, domain hosting is a combination of domain registration and web hosting, presumably used by people actually looking for web hosting, but don’t know the correct terminology so they search for “domain hosting Australia”. Alrighty, now that that’s clear, let’s get started! Web Host Server Locations: In or out Australia? If you’re based in Australia, you should look for a web host that’s either in or close-ish to Australia, it’s that simple. Why? Because if you host your website on a server in the US for instance, you’ll probably encounter fun issues like lag, slower load times, delays, etc. Server location matters, but don’t worry about it on a city-specific level, so it doesn’t matter if you’re looking for web hosts in Brisbane, Sydney (like Netregistry and Digital Pacific), or Melbourne… you won’t notice the speed difference anyway, as long as the servers are close-ish to, or in, Australia (Singapore, hint hint)! That being said, keep in mind that most Australian hosting providers are more expensive than their US counterparts. That being said, just because your site lives on a specific server in a specific location doesn’t mean you can’t get speedy loading times around the world, in every country. 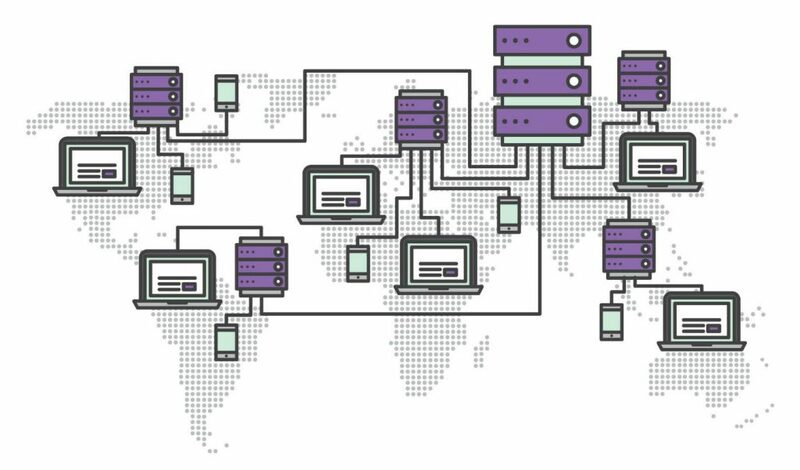 With the help of a CDN you can serve up your site everywhere with minimal lag. A CDN or content delivery network is a geographically distributed network of servers that will use the site visitors location to serve up a cached version of your site’s content from its closest node or server. This not only helps with loading times, but can also block spammers, increase security, and protect you from potential DDOS attacks. There are 3 main types of hosting: Cheap Shared Hosting, VPS Hosting, Dedicated Hosting, & Reseller Hosting. For most of those reading this (including those looking for business web hosting for Australia), you’ll want to go for the cheap web hosting type (shared hosting), as it’s perfect for small to medium-sized businesses. It’s a different story if you’re trying to sell 1000s of products online, or have a thriving forum, in which case dedicated hosting or a VPS is a better option. Before we go on and do a web hosting comparison of these hosting types, there’s one thing that you should really understand about the hosting world: 99.9% of the time, you get what you pay for. If your main focus is to look for cheap web hosting services, this is what you came for. While there are companies that offer free web hosting packages, they usually don’t last long due to too many limitations. What shared hosting means is that your website will be hosted on a server with a bunch of other websites. How many other websites? It depends on the hosting provider. Some companies put as much as 100 websites on a single physical server, while some are hosting 20 websites or less. For people looking specifically for business web hosting for Australia, shared hosting is most likely the hosting type for you, just go with more premium packages (and then apply coupons). Shared hosting can even be used to host e-commerce sites (depending on the size of the site). Anyway, let’s lay out the pros and cons of shared hosting. Usually, comes with 1-click install scripts for WordPress & the other major CMS’s. Your website can load slowly if the server is overloaded with too many sites. You’re open to security threats even if you’re doing nothing wrong. Someone from your neighbours can take more resources, and as a result, you’ll get inferior website performance. Note that not all shared hosting plans are the same. There are plans that provide a VPS-like performance (like the mostly US based managed WordPress hosting providers). You’ll recognise these shared hosting plans by their price (quite expensive) – Our own top 10 is a nice balance between cheap web hosting, and super premium business web hosting. Shared hosting is good for blogs and small websites that are not resource-intensive. If you combine a decent shared host like SiteGround with caching and a CDN, you can get incredible results. Below is a snapshot of the loading time of one of our side-projects, pinged from Melbourne (yes, that site loads in under a second!). A quick word about Cpanel, the most used control panel in the hosting industry (this goes for most hosting types). If you’re not familiar with it, don’t worry, Cpanel is super easy to use and usually comes with 1-click installers for WordPress, Joomla, & many other systems. In fact, if you see that a certain cheap web host has Cpanel under their listed features, it’s a plus! Hosts that use their own proprietary control panels can have some issues (personal experience). Self-managed VPS, you’re in control of every aspect of the server including the technical stuff. Managed VPS, the hosting company handles most of the technical things, while you primarily focus on your business. This option is more expensive. Prices for VPS hosting services vary from $30 to $100+ per month. Let’s lay out the pros and cons. Much more expensive than the more affordable shared hosting. Dedicated server hosting is the most powerful option of all. Instead of having to share resources with other people – which is basically the case with both of the upper 2 hosting types, you get a fully functional physical server all by yourself. This is as good as it gets for server performance. But on the downside, dedicated hosting is insanely expensive. That’s why this type of hosting is primarily intended for big companies that have resource intensive websites and web apps. Prices generally start at $100-200 per month. Australian reseller hosting is usually only used by web agencies or individual web designers looking to start hosting their own clients. These plans enable you to create different accounts per client and manage them all from a single dashboard (preferably WHM in combination with Cpanel), setting bandwidth & space limitations, add-on domain limits, and much more. Reseller plans are definitely more expensive than your regular hosting package as they allow to host multiple websites each with their own Cpanel. You need to know whether you can rely on your web hosting company to provide stable servers and maximized server uptime. Every Australian web hosting provider will guarantee you a 99.9% uptime. But that’s not always the case, our top 5 does a great job at maintaining max uptime though. The amount of storage implies how much files you can upload to the server. For blogs and small websites, you won’t need more than a couple of GB’s, which is what most cheap web hosting companies in Australia offer. But if you’re looking to host a larger website, you should get a hosting plan with more storage capacity. Make sure to give an advantage to companies that use SSD drives for storing data instead of regular HDDs. SSD performs up to x10 better in reading and writing speeds. Many website hosting providers promote these two things as one. But, they are totally different. Bandwidth is the rate at which data can be transferred. Data transfer, on the other hand, represents the data traffic that your website generates – usually measured and limited per month. Data Transfer depends on how many visitors you have, and how large your files are. So be sure to check what’s the limit for the hosting plan you want to choose. While this one might seem easy, it’s actually multi-layered. Most people think that speed is a combination of server performance + location, meaning that as long as the server runs smoothly, and the location of the data centre is in Australia, it should be alright. This is definitely not the case though. In fact, there are multiple web hosts with servers in Singapore that outperform ones with servers in Australia (like SiteGround). The truth is that the best hosts usually use custom-built systems and scripts to squeeze as much performance as possible out of their data centres. If you combine that with superior hardware, as long as the server is near Australia, it’ll blow the Australian web hosting competition out of the water. First, we look at the number of support options and their response times. These can include phone support, live chat, support tickets, a detailed knowledge base, and even video tutorials. We’ve found that support tickets are still the most efficient way of getting most issues resolved, they’re also the most easily scalable for the web host (which is critical when an entire server goes down and they receive a massive influx of complaints). Then we need to consider if the host outsources their support, or if it’s in-house, both options have their pros and cons, with outsourced support being better for scalability and consistency, but in-house support is usually quicker on the ball and more knowledgeable. If you want the complete hosting package from a single provider in Australia, you need to check for email features (usually more important for people looking for business web hosting as they’ll probably need multiple email addresses). Not all web hosting services you to create email addresses for your domains. If they do, check whether they provide an interface for the webmail, and integration with external services. Also, watch out for limitations. Some providers allow you to create up to 100 email addresses or send 200 emails per hour. Backups are very important, but unfortunately, it’s low on the priority list for most people. You’ll need to backup your website, database and email files on a regular basis. Check whether the company offers backups, and how often do they backup your files. Also, find out how can you restore the files if something goes wrong. Some companies charge for backup restore, while some provide the service for free. This is important if you plan to host more than one website with your website hosting plan. The cheaper Australian hosting plans are often limited to only one website. That being said, if you see super cheap plans with unlimited domains, know that the overall performance will most likely go downhill fast the more domains you add. This is because your server resources will not scale according to the number of domains you’re using, resulting in really poor performance on all your sites. Securing your site with an SSL certificate is quickly becoming a requirement rather than an option, so not only e-commerce sites need one, but every other site as well. Google will even label non-https sites as non-secure, which will impact your conversion rates. SSL (Secure Sockets Layer) is basically a technology for establishing an encrypted link between a server (web host) and a client (the browser). SSL enables personal info like credit card numbers and login details to be transmitted securely. When you’re researching potential web hosts for Australia, see if they offer free SSL certificates (preferably with an easy 1-click install option like SiteGround does). If they don’t, you can still get a free certificate from Let’s Encrypt, and ask your host to install it for you. And that’s it, it might seem overwhelming to cover all the points, but just take it one step at a time. Maybe even create a spreadsheet and log all the specs for the Australian web hosting companies, so you’ve got an easy overview. No worries Jenny. Yeah it’s quite funny, it also has to do with how the servers are setup. SiteGround definitely knows their stuff, there’s a reason for their insane growth. Well, as Panthur recently got bought by Hostopia, a US company (they had a temporary support issue due to the switch but it seems to be back to normal now), either choice wouldn’t do the trick I’m afraid. So knowing that, I’d go for SiteGround personally! Thanks for putting this together, got one question though. What if I’m expanding beyond Australia, and want to target Canada? Won’t that be an issue if my site is hosted in Singapore? You can use a CDN to serve most static content from the closest node to your visitor, I’ve got a section talking about it on this page. Most hosts offer free CDN through CloudFlare :). Pretty easy to set up. Just wanted to say thanks :). I ended up going with SiteGround and they had me up and running within the hour, good stuff! Hi, I just managed to hook Hostgator up with CloudFlare CDN for better loading times, is the premium/pro version worth it? The free version is good enough for most sites, pro gets you better security and fancy image compression. HI Tom, thanks so much for this article. I am just beginning a business and all this tech is new to me. I spent hours trolling info about hosts, domains, urls, emails and comparisons and site ground didn’t come up. I then found this last night and reread it this morning and have gone with siteground. i needed help to set up and process the package and tech support was really fast and reassuring. Thanks man, so much info here… had no idea hosts with servers outside of Aus could outperform local ones, good stuff! Came across your article and also had looked already at SiteGround, but I find all of this stuff extremely confusing, that why once I had everything set up I’ve been sticking with it ever since. I’m only a one-man business and have a very basic one-page website with links to the websites of my suppliers. The website and email is currently hosted by AUSWEB, but I also have 3 domain names that are with Crazy Domains (two I don’t do anything with and the main one http://www.lightoptronics.com.au is managed by AUSWEB, but they are not linked). I would like to get everything under one umbrella, as I was made aware of by Crazy Domains today, and they would like me to move everything to them? However their reviews are not that great and so I started to research and came across SiteGround and then your article. With SiteGround do I keep ownership and control of my website and domain names? I rarely do anything with my website and get a friend (who acts as my website manager, at a small monthly fee) who has access to my AUSWEB account to make any changes or updates to my website for me when needed? As you may have figured by now, all is a bit all over the place. I like the sound of SiteGround, but am worried that once I get started and have to go through the set up, that I might stuff everything up, as I’m not very computer savvy; – because at present all is working okay? Sorry for the lengthy message.